Mouth ulcers in dogs and cats is one of the most difficult chronic conditions for veterinarian professionals to treat and remedy. As a loving pet owner you want to do all you can so that your pet doesn’t suffer. 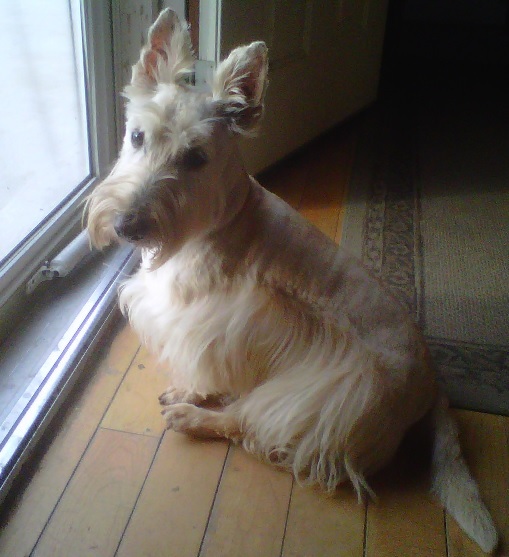 When my Scottish Terrier, Gavin, was diagnosed with chronic mouth ulcers, a condition called Chronic Ulcerative Paradental Stomatitis, “CUPS”, and a common, difficult to treat oral gum disease in dogs and cats, I set out to find a solution when traditional veterinary medicine proved unsuccessful. Here I explain about the CUPS disease, Gavin’s veterinarian treatment and the therapy I used along with a spray that I created that brought him relief, as well as many other dogs and cats. Like all dog and pet owners, I love my dog and would do anything to see him not suffer. I could see how much Gavin was suffering in pain from his mouth ulcers and bad teeth. After his diagnosis, Gavin was placed on the antibiotic, Clindamycin. Clindamycin is used in the treatment of bacterial or other infections caused by microorganisms. The drug is mainly used to treat oral infections, dental diseases, abscesses, deep wounds, and bone infections. Because of the advanced stage of Gavin’s gum and dental disease and in the vet’s attempt to get the disease under control, Gavin underwent two more general sedations for tooth extraction. However, during the last sedation and extraction attempt, Gavin actually stopped breathing and nearly died on the surgical table. Fortunately, the skilled vet was able to revive Gavin and I was blessed to have two more years with him. With few no further options provided by the vet, I was left desperate and determined to find an alternative solution to try and remedy the disease, attempt to save his remaining teeth, provide relief for his discomfort and improve the overall quality of his life. The pathogenesis of the CUPS disease itself. How CUPS affects the body and it’s ability to heal. Botanical plants and compounds that focused on anti-ulcer, anti-microbial, anti-inflammatory, anti-scarring, immunity enhancing and promoted healing. Trial and error application and observation of various single and combined ingredients to Gavin’s mouth. Observations included changes in appearance of gums, teeth, smell of mouth, his appetite and behavior. Veterinarian feedback: Gavin underwent regular exams by his veterinarian to learn the status of his CUPS disease. Oral ulceration and chronic ulcerative paradental stomatitis (CUPS) is a disease of the mouth which causes painful ulcers on the gums, sometimes tongue, and mucosal lining of the mouth cavity. CUPS is usually a hypersensitive immune response to bacteria and tooth plaque, but may have other root causes. 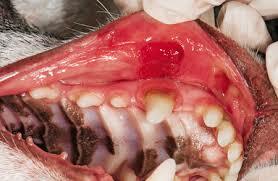 Image of a dog with Ulcerative Paradental Stomatitis – Not a photo Gavin’s mouth. Symptoms of CUPS include: bad breath, swollen gums (gingivitis), inflammation of the back cavity of the mouth, inflammation of the larynx, ulceration of the inner cheeks, thick-ropey saliva, appearance of pain (pawing at mouth, loss of appetite), mucosal ulceration on the gums the meet the lips, teeth plaque, exposed bone from dead tissue, scarring on side of tongue from prolonged inflammation and ulceration. If you suspect your pet has CUPS – stomatitis have them seen immediately by your vet for proper diagnosis. After proper diagnosis, standard veterinary treatment for CUPS includes a therapy of antibiotics, extracting all bad teeth and, in chronic cases, extracting all teeth from the infected areas of the mouth. Because the disease is typically difficult to isolate and stay the course of the disease your veterinary professional may extract all teeth in the mouth. Even the healthy ones. However, your pet should do okay after having their teeth extracted so long as you provide them with soft food (raw food diet preferred) and keep their mouth clean. Keep reading for my suggestions on raw food feeding and tips for keeping their mouths clean. Because of Gavin’s age and tender physical condition, the vet told me that going forward, Gavin should only undergo general anesthesia for life or death procedures. So surgery to remove bad teeth was not an option. However, Gavin’s mouth ulcers were not responding sufficiently to antibiotics. So I researched various plant extracts in search for an alternative treatment for Gavin’s stomatitis. My research, along with oral hygiene recommendations from Gavin’s veterinarian, resulted in the following regimen and formula which completely healed his mouth ulcers, and treated all of the accompanying inflammation and scarring from the disease. For best results, attacking this chronic oral disease requires a “dogged” outside-in, inside-out approach. I found that with my consistent application of the regimen below, Gavin’s ulcers and gum disease stopped spreading, the inflamed red gum tissue turned pink, then the sores gradually healed completely and never returned. Because CUPS is a stubborn chronic condition you must be stubborn and consistent in this therapy. Through extensive research, trial, error and observation after application, I carefully selected the ingredients ultimately used in this formula. We have to thank Gavin for being so patient with me as I tried to find the right ingredients that would help bring relief to his CUPS symptoms. This oral spray formula includes native herbs from South America and the American South-West. Dog and cat owners notice results in their furry loved ones within 2 days of starting the spray formula. Ordering is easy with or without a PayPal account. Select your order below then you will be taken to PayPal’s secure site to complete your order. This purchase is for your Dog or Cat? How did you hear about Gavin’s Spray? To apply the product, thoroughly spray your pet’s entire mouth cavity and gums each morning and night for the first week. Pay special attention to the very far reaching back of your pet’s mouth, behind the back teeth. Make sure your pet drinks no water or fluids and eats no food for at least 15 minutes after application. Then apply the spray at night only just before bed. Once the ulcers are gone continue to spray just before bed 3-4 times each week to maintain. The spray provides the outside-in therapy to help relieve the symptoms of CUPS. But, there are deeper issues requiring an inside-out therapy for your dog or cat. One of the underlying causes of paradental/periodontal/gum disease is oxidative stress. In fact, dogs and cats with CUPS have higher oxidative stress than dogs and cats without CUPS. Oxidative stress and the disease progression causes inflammation and reduces the body’s immunity function. A study shows that a five (5) plant plant compound Nrf2 activator significantly reduced gingivitis, periodontal and gum disease(1). There is only one Nrf2 activator for dogs. This is the Nrf2 activator supplement that I provided my dog Gavin. Not only did this product help the inflammation of Gavin’s mouth but it also helped with his overall activity and health. This statement is based on my observations of Gavin’s behavior and mobility and also supported in his improved enzyme counts from his blood tests. I can’t emphasize to you enough on how important I believe this Nrf2 supplementation was and how I believe it directly contributed to Gavin’s quality and longevity of his life! This is a chewable dog treat that I have found that dogs really enjoy. For cats and dogs that won’t eat the treat directly, just do as I did and grind up the treat and add it to their food. The key is to get the tablet into their tummy. Note, cats only need about 1/3 to 1/2 tablet each day. Click Here! If You Love Your Dog or Cat! The food you give your dog or cat is very important! Like they say, good food is the best medicine! And, just like for their ancestors, raw food is best for them. 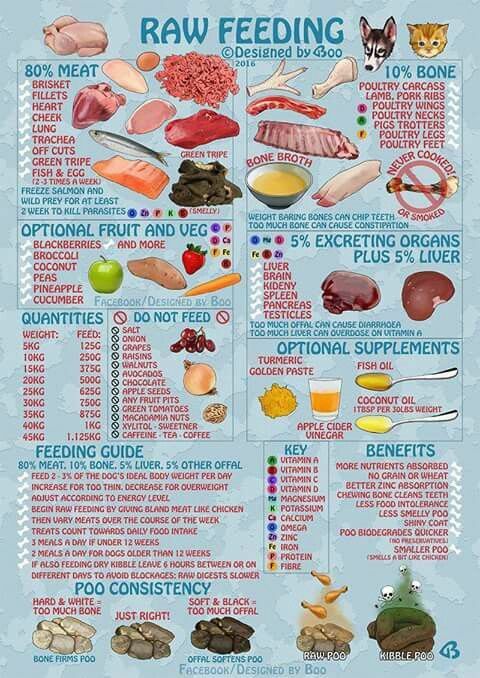 Please do your research on raw food feeding for your pet. Be a label reader. Here’s a cheat sheet for raw food combinations. If you enjoyed this post and if you would like to have more posts like this, please comment and share on your Social Media pages. PS: Dogs and other Mammals Suffer From Disease and Chronic Conditions Caused by the Same Oxidative Stress that Humans do. However, Dogs Experience Oxidative Stress MUCH Faster! Get the ONLY Nrf2 Activator for Dogs and Cats HERE. You Need Nrf2 Activation Too! Get Your Nrf2 Activator HERE! If you enjoyed this post, Home Relief For Dog Cat Chronic Mouth Ulcers (CUPS), please share and /or comment below! Yes, I would love to share. My cat, Lucy has Feline Stomatitis which is very painful. She gets the sores in her mouth. When she was first diagnosed almost four years ago, our vet said we could save her by giving her weekly steroid shots. I was horrified at first, but they did help ease her pain where she could eat, but I do believe they have caused joint deterioration. As time went on, I learned to give her the shots myself because it upset her too much to go into the vet’s office every week. I just pick up two shots at a time and give them as needed. My daughter, Andrea has the sibling to Lucy, and his name is Tom. He has the same disease. Over the years, she and I have prayed for a better solution. The other option is to remove all their teeth, but our vet didn’t want to do it. He said there was still no guarantee it would resolve their problem. Andrea was taking a class with Robert Hollis and somehow heard about Gavin’s spray from @Alycia Skousen. Andrea told me about it and I contacted Alycia. Alycia has been so gracious and helpful to give us a raw diet plan to go along with Gavin’s spray. We started using it. I couldn’t even get it in Lucy’s mouth twice daily like she recommends, but I took it to my vet and shared with him about it. He actually helped hold her mouth open while I sprayed it in. He also was very interested in checking out Alycia’s website about it. Although I hadn’t been able to put it in Lucy’s mouth twice every day, I was able to do once a day. She was able to go for ten days without pain before she needed a shot. She also started playing again, like when she was a kitten. When I went back to the vet, he told me to continue to give Gavin’s spray to her along with the shots. Because of Gavin’s spray, I actually use a dropper to put it in, Lucy is able to feel better longer and spread getting the shots out further. Her quality of life is better. And for that I’m thankful. The same goes for Tom I believe. I apologize for the long message, but grateful to Alycia. She is a God send!